Constructed from light-weight, excessive-power steel with a matte finish and high-polished resin, this extremely-slender show brings home a modern-day look and sense with out the premium price tag.with its bright ips panel, this micro-facet display promises ultra-extensive viewing angles and crisp, clean photo quality. it?s an expansive viewing revel in, best for dual display setups.be prepared for exquisite visuals and crisp photos with the unforgettable first-rate of this beautiful fhd display. Disclaimer : HP 24F 24 inches LED Monitor price in Pakistan is updated on daily basis and rate/price for HP 24F 24 inches LED Monitor is valid for all cities of Pakistan included Islamabad, Rawalpindi, Lahore, Karachi, Faisalabad, Peshawar, Sialkot, Quetta etc. 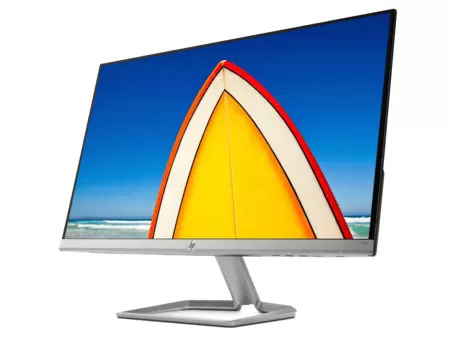 HP 24F 24 inches LED Monitor price depends on many factors thats include the price of dollors, manufacturar price and import cost and duties etc. Our team entered specs from diffrent resources and not responsible for any typo error in specs for HP 24F 24 inches LED Monitor, please report any such error in bug report panel for HP 24F 24 inches LED Monitor. HP 24F 24 inches LED Monitor price in Pakistan.